Everyone, including you, can benefit from Chinese Medicine. Often our lives are so busy that we don't get a moment to think about what may be hurting or not feeling well. We may feel like things are out of balance, but don't know what to do about it. By taking an hour out of your life and coming in for a treatment, you can give your body the break it needs to relax, release, and rebalance. Chinese Medicine, which consists of acupuncture, herbs, and bodywork, has been used effectively for over 4000 years to help people relieve muscle pains, injuries, anxiety, depression, internal organ diseases, and nutritional imbalances, and to nourish the body, mind, and spirit. Make an appointment today to see how Chinese Medicine can benefit you. You'll discover that it's exactly what you've been looking for. Acupuncture stimulates your body's innate ability to heal itself. Sometimes we are born without certain abilities to heal ourself or stressors come up during our life that distract from these abilities. Acupuncture can remind the body how to heal itself. Acupuncture is holistic medicine. It is based on evaluating the person as a whole–this includes looking at the person's body, mind, and spirit. In Chinese medicine, energy is referred to as Qi (pronounced chee). Over the centuries, Chinese doctors have mapped out the flow of Qi in the body in what are called channels, pathways, or meridians. Health is maintained when Qi flows smoothly and freely through these channels and into the surrounding tissues, organs, ligaments, tendons, and bones. When there are blockages in the flow of Qi, health is disrupted, and dis-ease often results. 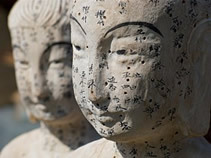 Acupuncture helps to unblock and balance Qi, promoting its smooth and free flow. Acupuncture points have specific balancing effects. These points are carefully selected for each treatment to bring the body back to a balanced state. Treatments are individualized for each patient's needs. Acupuncture and massage help to relax the body, and studies have shown that they release endorphins as well as decrease pain. Your treatments are individualized for your specific needs and concerns. Acupuncture and Massage help to relax the body. Studies have shown that they release endorphins therby helping to reduce inflammation, increase relaxation, and bring a feeling of contentment. Most patients feel so relaxed during their treatments that they drift off into a deep, relaxing sleep. Q: How was the format for the Full Acupuncture Treatment created? A: Over the years, Dr. Marco has experienced many Acupuncture and Massage Treatments. Combining the best of these experiences, she created a relaxed and soothing environment for you to have a deeply healing and blissful treatment. Dr. Marco uses Seirin Needles, "the Painless One." While these needles are one of the most expensive on the market, Dr. Marco demands that her patients have the best. Seirins are extremely thin, yet highly effective at contacting the Qi. Dr. Marco has Far-Infrared Lamps in each room for your healing process. The Far-Infrared Lamps help in reducing inflammation, increasing tissue regeneration, and for overall relaxation. Studies show that cancer does not like the Far-Infrared wavelength, so these lamps have an anti-cancer effect, too. The Full Treatment is tailored to your needs, and includes body points, ear points, and ends with a massage for your specific concerns. 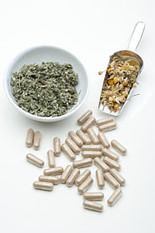 Herbal formulas and Chinese Nutrition are included in the Full Treatment as well. • Tui Na (pronounced Twee Nah) ~ Therapeutic, deep, and focused massage that is both healing and releasing. Enjoy warm oil and the depth that you like. Tui na is the Chinese way of saying massage, literally "push pull." We use therapeutic all-natural, organic massage cream. • Hot stones ~ Comforting and grounding, hot or warm river and ocean stones are placed on and pushed down your muscles. Stones deliver a soothing heat and are a part of your Tui Na massage when desired. • Moxa ~ a.k.a. moxibustion ~ Warming and relaxing, like sitting by a hot fire. Great for your low back. We can teach you how to do moxa at home as homework and in the Center we have the healing TDP Far-infrared heat lamps, jade mats, and BioMat. • Cupping ~ The ultimate in muscle release, especially for tight muscles in the back. Gwyneth Paltrow made this famous on the red carpet when she showed her cupping marks. • Electrostimulation ~ Great for depression and anxiety and to get the thoughts moving. • Gua sha (pronounced Gwa shah) ~ Excellent for neck and shoulder tension. Breaks up adhesions. All formulas are individually created or chosen to meet the patient's needs. We use excellent quality herbs. Having been trained by numerous Naturopathic and Traditional Chinese Medicine Physicians, Megan Marco, D.Ac., L.Ac. 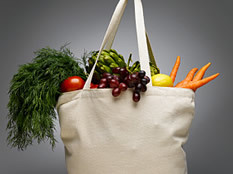 is knowledgeable in nutrition and vitamins. She stocks high quality, bioavailable, absorbable multivitamins, supplements, and blue-green algae-rich energy bars. You can make an appointment for nutritional counseling or have this as a part of your Acupuncture treatment. 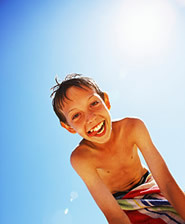 Couples, families, and children all can benefit from Acupuncture and bodywork. 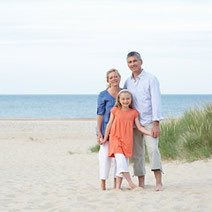 Dr. Megan Marco enjoys treating couples, families, and children. Come in with your sweetie -- what a wonderful way to start a week or weekend! When coming down with a cold, both child and parent benefit greatly from being treated at the same time to build immune systems and fight the cold. Children, especially those with allergies or growing muscles and bones, greatly enjoy treatments, and Dr. Marco has been treating her sons with Acupuncture, tui na, and shiatsu since he was an infant. When you are trying to conceive, Acupuncture and Chinese Herbs can be very helpful in enhancing fertility. Pregnancy is a key time for treatments, to help with relaxation, nausea, any discomforts, and baby's development. Acupuncture is wonderful at helping delivery to be on time and as smooth as possible, too. Remember that you don't need to have anything wrong to benefit from Acupuncture and Oriental Medicine so it is wonderful for everyone. "Dr. Marco’s knowledge and expertise, along with her warm and caring nature, has literally changed the lives of everyone in my entire family. I brought my six-year old son to see Dr. Marco for his symptoms related to multiple seasonal, environmental, and food allergies. Our most distressing challenge every year has been his severe eye allergies. Intense itching, swelling, and dryness in his eyes has prevented him from spending time outdoors in the Spring. We’ve seen various doctors, tried numerous medications, and eliminated numerous foods from his diet; yet he’s found little relief. Last year, he was diagnosed with vernal conjunctivitis, a severe form of allergic conjunctivitis, which can be sight threatening if not controlled. He had difficulty seeing in school and needed to bring cold compresses daily for flare-ups. He finally found relief when he was put on steroid eye drops, yet we were very uncomfortable with this treatment since potential side effects are glaucoma and cataracts. After researching acupuncture and its potential benefits, I felt very positive that acupuncture could help relieve my son’s symptoms by dealing with the root cause of his numerous allergies. I found Dr. Marco online and after reading about her experience providing acupuncture to her own son, I felt comfortable trying it for mine. The results have been spectacular! We travel an hour (one way) each week to see Dr. Marco and it’s been worth every minute. My son’s eye symptoms have improved to the point where he spends entire weekends outdoors with no major episodes of itching and swelling. It’s really been a small miracle. Our entire family has been able to enjoy the outdoors again without enormous stress and we are so grateful! In addition, Dr. Marco has tailored his treatments, as needed, to aid him in recovering from bouts of related congestion, coughs, and eczema. We’ve seen improvements all around to know that his body is functioning better. This is what my son has to say about his experience with Dr. Marco, “Acupuncture doesn’t hurt at all and now my eyes barely get itchy anymore. It has been much better not having to take eye drops everyday. I can actually go outside and my eyes don’t get itchy."" I feel southeastern Connecticut is blessed to have Stonington Natural Health Center... Acupuncture seems to blend perfectly to form our complete care and the atmosphere of support is so genuine and sincere, we feel better just walking in the door. We both look forward to our appointments at Stonington Natural Health Center because we feel so confident in the care they are providing - we feel better not only physically but emotionally after seeing them - we feel uplifted. I can honestly say I have fun going to my doctor - how often do you hear THAT! Would I recommend Dr. Marco? Absolutely! And I do on a regular basis! We would love to hear your success stories with Dr. Marco, Acupuncture, and Oriental Medicine. Please send or email us these so that we can add them to our website. In order to better serve our patients, we would love to hear from you. Thank you.